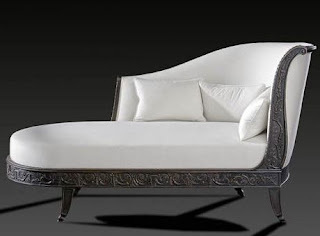 "Rose" Bedroom collection.This new bedroom characterizes for the important bed headboard all upholstered with Swarovski crystals and bordered with a elegant carved frame. 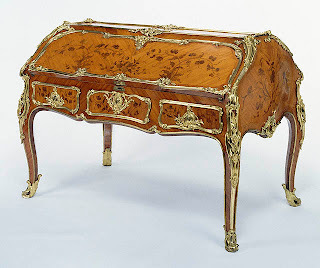 The white shining lacquering with silver leaf and white decapè contributes to create the particularity of this bed see also " Golden Carving Salon Set ". 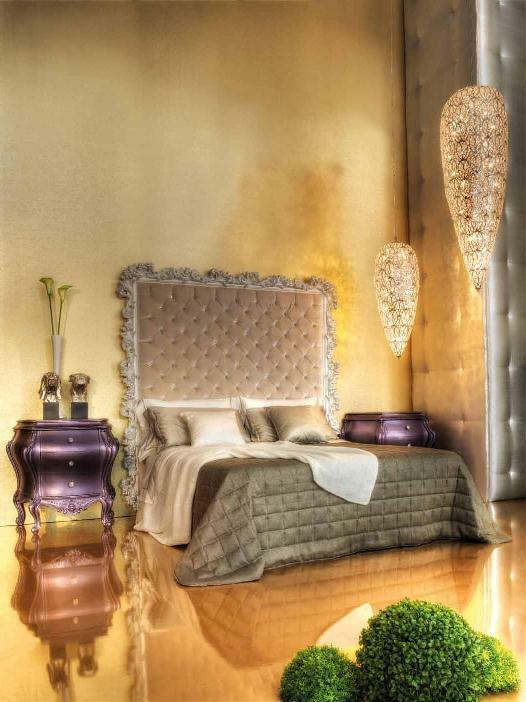 An original touch is given by the violet lacquering with metallic effect of the two bedside tables.